This is for you, Moms. 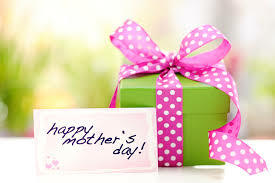 In fact, whether you are a mom or not, this is for all the women out there who feel trapped in a cycle of, “One day, I am going to eat healthy, lose weight, and really take care of myself.” Make this is your Mother’s Day gift to yourself. It’s time to get un-stuck, and I am here to help. I know that it is hard to find time to focus on you. And when you finally do take some time for yourself, you probably have a vague sense of guilt that there are other things more worthy of whatever effort or sacrifice you are making to work on you. It may be hard because you have no idea where you will find the time to exercise. I’ll help you with that too. That’s what I do. It may be hard because changing life-long patterns of eating seems completely undesirable right now. You’re not alone. You can do this, and I’m here to help. The amazing thing is that once you get a taste of the energy and vitality that eating well brings, you won’t look back. There is only one way to slow down, stop, and reverse many of the effects of aging, whether you are 20 or 80 years old: sensible eating and consistent exercise. Ok, that’s two, but they have to happen together. Do you want to avoid the ravages of heart disease, the number one killer of women? Do lowering your blood pressure, strengthening your knees, and reducing aches and pains sound attractive to you? Would you like to run a 5K or a marathon, even if you’re 60? Make this Mother’s Day the beginning of a new chapter in your life. Thousands of women just like you are doing it. And I want to help you do it. Be strong, vibrant, fit, and full of energy. It’s time to start. I’ll get you un-stuck and feeling better than you ever have.